LUXIBEL CABLE RAMP Il y a 6 produits. 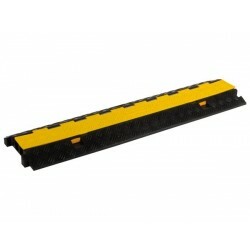 Protect smaller cables and wires from traffic with our 2 channel cable protector. 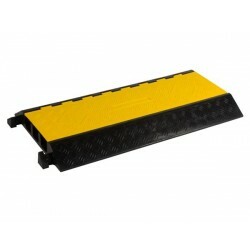 Made from durable heavy duty rubber, this cable ramp handles vehicles of up to 500 kg per axle. Diamond tread pattern on all outer surfaces for maximum traction. 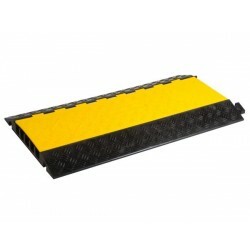 Keep cables and hoses protected from foot and wheel traffic with this 3 channel commercial grade rubber cable protector. Features a skid-resistant diamond pattern surface and a high-visibility yellow lid for maximum safety. Massive 15 ton weight capacity. Diamond tread pattern on all outer surfaces for maximum traction.